If we want to protect and restore honeybee populations—and seeing as they pollinate at least 30 percent of our crops, we should—the science is clear. 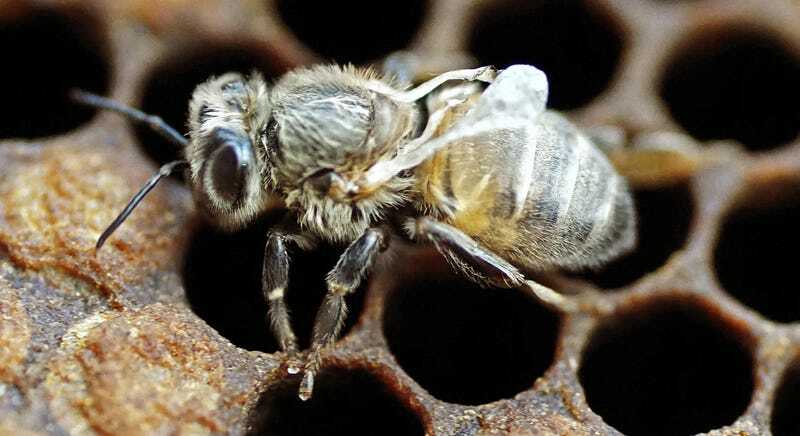 “We must now maintain strict limits on the movement of bees, whether they are known to carry Varroa or not,” said lead study author Lena Wilfert, an ecologist at the University of Exeter. Shipping honeybees all over the planet has been good for our agricultural bottom line, but it’s also had ecological consequences. In recent decades, farmers across the world have watched colonies die en masse—in the US, the honeybee population dropped a staggering 59 percent from 1947 to 2005. So-called “colony collapse disorder” has been attributed to numerous factors, including pesticides and agricultural intensification.